Historic New England is delighted to announce that Bell House in Little Boar’s Head, New Hampshire, is the one hundredth property protected through our Preservation Easement Program. Bell House is a seaside, Shingle Style home designed in 1898 by Boston architects Wales and Holt. 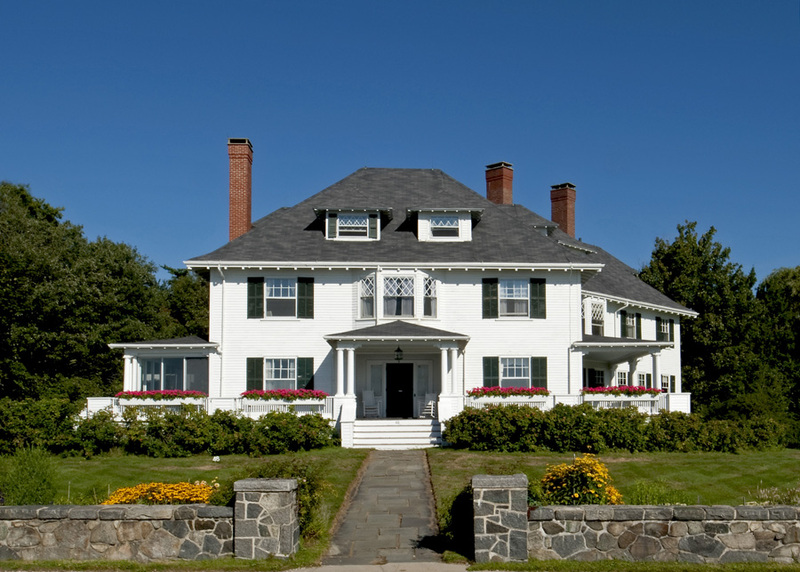 The easement protects exterior and interior features of the house and carriage house, including woodwork, plaster work, door and window hardware, light fixtures, and built-in furniture. It also protects landscape features including stone walls, the driveway, and the design and location of Colonial Revival garden beds. It safeguards the two-acre site from insensitive development. Since Historic New England established the Preservation Easement Program in 1981, we have used this legal preservation tool to protect nearly 1,000 acres of land and 200 buildings. These privately owned properties represent a wide breadth of New England architecture from the seventeenth century to the mid-twentieth century. Read more about the history of the program in the Winter 2016 issue of Historic New England magazine.